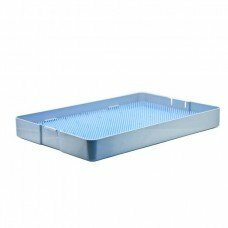 Instrument sterilization tray with a deep base and lid. Silicone mat not included. 10 inches by 15 inches by 1.5 inches.